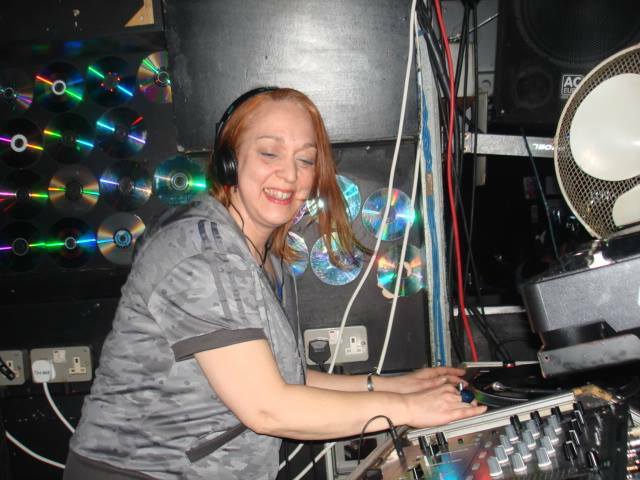 A pioneering female DJ artist on the London underground scene, Gizelle started playing music in the heady days of Acid House in the late 80’s spinning acid house alongside the likes of Mr C, Evil Eddie Richards and Mickey Finn in London. From this baptism of fire, her love of all things Acid and Techno drew her to the growing underground DIY squat raves and festival dance scene of the early 90’s in London where she teamed up with Lawrie Immersion and the Liberator DJ’s in 1994 – through the Zero Gravity & Farside parties – to play out every weekend in the mid-late 90’s on the legendary ‘Immersion Sound System’ as resident DJ. From this weekly techno extravaganza, the underground sound of London Acid Techno was delivered into the world, and has been entertaining ever since. So there you have it… Gizelle ‘Rebel Yelle’ is the real deal, a DJ with the experience and a force that comes from being a true underground legend. To this day she still remains passionate about the music, creative expression, underground parties and the communities it brings together. And what’s new for 2013? Tune into www.opticalradio.net every fortnight on Fridays 9pm-11pm for the ‘Rebel Yelle Show’ and hear for yourself. Gizelle ‘Rebel Yelle’ will be spinning a mixture of old skool, acid house, techno and more, plus inviting guest underground DJ’s from different genres to come and have a spin on the decks too.